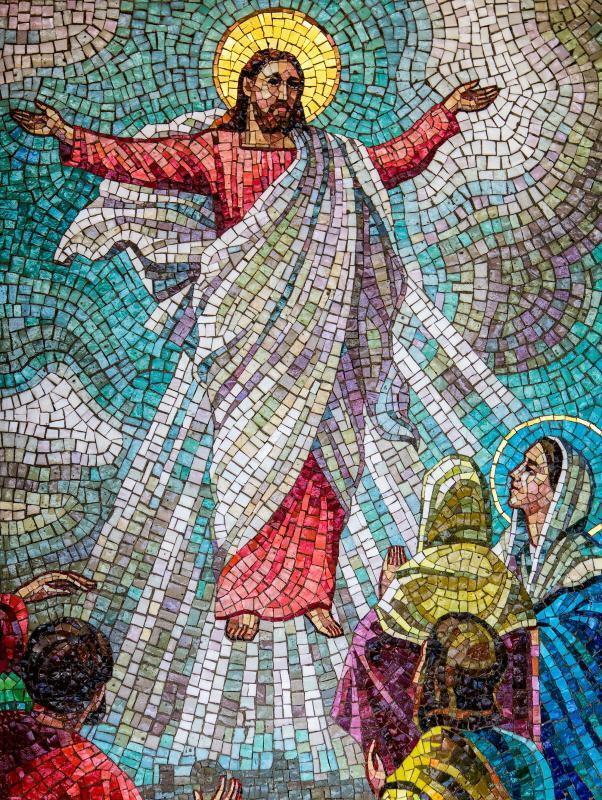 Mosaic art is popular in churches. Abstract designs are popular with mosaic art. Mosaic is an art form that involves fitting small pieces of rock, shell, tile, or glass called tesserae together to create a pattern that may be abstract or representational. Some of the finest examples can be found in ancient art from the Greco-Roman world, and in Byzantine churches. This craft can be used to decorate everything from chests of drawers to floors, and it has been a part of the artistic expression of many cultures all over the world. The earliest known mosaics date to around the eighth century BCE, when the Greeks made designs with pebbles. The art form spread to the Romans as well, and it was used extensively in the internal decoration of homes and businesses. The Romans were especially fond of using this art for flooring, and some truly incredible floor mosaics have been revealed at archaeological sites. With the spread of Christianity came an explosion of this art in churches and other houses of worship; they depicted saints or religious scenes, and often integrated precious materials such as gold and gems. Some Native American cultures, especially in Latin America, also developed mosaic, which was used to ornament shields and body armor. Latin American desgins used stones, such as turquoise, and precious metals, and immense technical skill was involved. The oldest pre-Columbian examples appear to date to around 600 BCE, although older ones may still be discovered. The Middle East has also been a site of incredible mosaic work. Islamic art does not depict human figures, but rather complex geometric patterns that often involve subtle interplays of color and shading. Middle Eastern designs have been used to ornament furniture, flooring, and walls. They are often made specifically with tile and have been used to convey social status and power, since they are expensive to install. This striking decorative art is also used by modern artists. 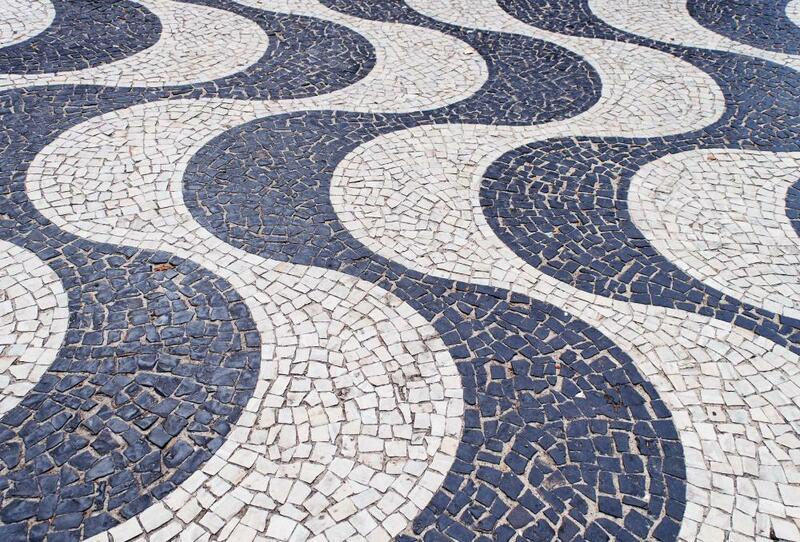 All of the historical uses of mosaic can be seen in modern design, ranging from ornate tile floors to furnishings and sculpture. Artisans often have very fine materials to work with, and they may include things like mirrors and vibrantly colored glass to make their designs particularly eye-catching. Making a mosaic can be fun, since there are so many possible materials to work with. At a minimum, an artist will need a surface to use as a backing and materials to cover it in. Tile factories and pottery studios are a great source of broken clay and glass to use, and individuals can also purchase tiles that are specifically designed for this purpose. A strong adhesive is needed to fix the tesserae to their backing, and crafters will also need grout to finish the piece, along with sealer if it needs to be able to endure moisture. Tools, like tile snippers, are also very handy, and artists should remember to wear face protection when breaking pottery or cutting glass. How Do I Make a Wall Mosaic? My wife created a cake that had a mosaic look. She used seven different shades of blue fondant. It was for a client of hers. It was the hit of the party. A friend of mine had a wild idea one year to include making mosaic craft patterns as part of her eight year old daughter’s birthday festivities. She got the kids together and gave them pottery pieces and other supplies from a local hobby shop, and they let their imaginations run wild. They made some impressive creations and the kids had a lot of fun. When we were looking to buy a house we found this one home where the whole kitchen had glass mosaic for its splashback. It was a little gaudy, I thought, but it was certainly very decorative—the dominant color scheme was red and orange. I suppose you could use this kind of thing in your house if you want, but I think the colors and patterns should be closer to neutral in case you decide to sell your home down the road. Not everyone has the same tastes.